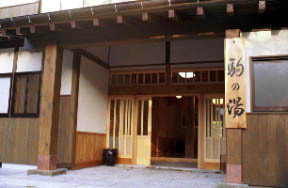 [Business] Closed until further notice.Hot spring is available for stop by. 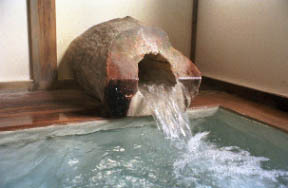 Touch that the hot spring has accumulated in the bath of the Komanoyu is not carried out.It is flowing.By the bathtub like the flow of a river, the float bathing was carried out at first and it passed.Like [ when Quercus serrata (oak lamber) is stretched and the wooden floor of the bath suitable into the language "discharge hot spring" looks at a windowful of a view from there, and looking at the outside of the window from the veranda of the Kodera in Kyoto ], it merely stares and nobody utters language.When a young master is a child, it says that two bears and a hawk were also bred, and does not still change, but is your house in a quiet mountain.The wild grass and mushroom which were taken in the mountain are saved, and a simple clever dish of wild plants is served.The wild grass of a vivid some kind of spraut is saved by an original way, and can be tasted through a term.They are the hospitality which never changes, and a price which never changes. It is a remnants main building new building about a part of autumn of Heisei 2014, and framework. It passed also along the examination of the public health center luckily, and became progress of revival as a hot spring for day trippers. 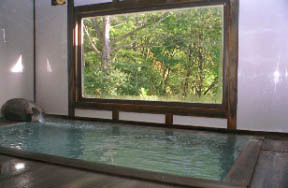 Please Look at "Hot Spring in Forest - Komanoyu Communication." The forest of the Komanoyu disaster spot is under reworking. The volunteer and the fund raising are invited. 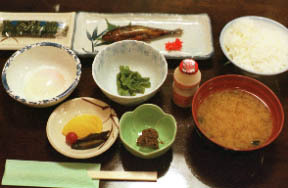 It wipes and they are miso, a yamakurage, landlocked salmon candied food, a boiled egg with soft white and hard yellow, etc. 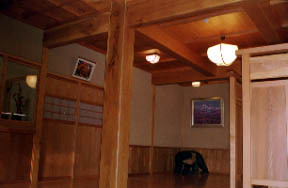 The made by of the local ridge beam adhering to Logs, such as a mainstay of a new Nezuko, an Entrance of a coffered ceiling, and a door of a cedar. wild grass tempura and a char dish grilled with salt, or dengaku -- the wen, the vinegared, pickles, etc. 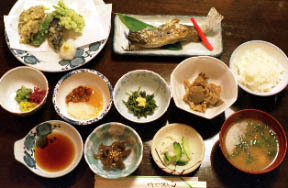 of - wild grass small bowl (wiping food boiled down in soy), mushroom simmered dishes, mushroom taking down, and a Ms.
mushrooms (a Sawamotashi Kanoka Masutake, a Koutake, etc.) seasonal after wild grass (gathered at mountain) seasonal in spring, and summer in the wild grass (Pteridium aquilinum a Kogomi-fern, - Aralia cordata) of the wen and salt curing of Ms. [ a Shidoke, ], or a Ms., some-kind-of-spraut tempura (the bud and the wild leaf bub, the method of preservation with which original sprout that obtains of た and others), and autumn. Although the fountainhead is different, spring quality and temperature are almost the same.